One of the affordable Nvidia video graphics card that you can have today for your gaming desktop is the Palit GeForce 210, a 1024mb DDR3 video card in a 40nm Nvidia CUDA and Pure HD technology. The device is equipped with dual-link DVI, VGA & HDMI port with complete DirectX support including DirectX 10.1 and lower. When you are going buy the Nvidia Palit GeForce 210 be sure your PC has the PCI Express 2.0 slot to install, preferably your pc has at least a dual-core processor and 1GB of RAM to compensate the speed of this video card. The advantage of having Nvidia Palit GeForce 210 is the tag price, it’s affordable compared to other video graphics but its capacity is not for professional / ultimate gaming desktops. This video card couldn’t run more heavy graphics games at a time but has a good DirectX support and will improve your audio thru Realtek HD Audio support. 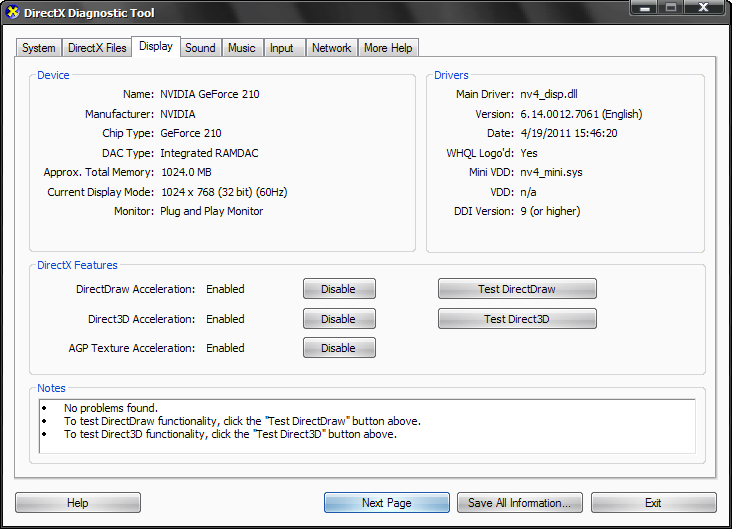 Nvidia Palit GeForce 210 is quite recommended for office computers that does presentation for its dual-DVI, CRT and HDMI support. If you will buy Nvidia Palit GeForce 210, choose the one with 3D support much better on gaming and it will cost you around $50 or PhP 1500.